Weighty Matters: Clean Your Plate Club Members Eat 35% More! Mindless Eating's and USDA's Brian Wansink, one of my favourite researchers, has released some preliminary results from a study he's been working on. He's been looking at kids who belong to the so-called Clean Your Plate Club and has found that preschool aged members ate 35% more fruit loops than non-club members when given an unlimited portion. 35% more is a lot! 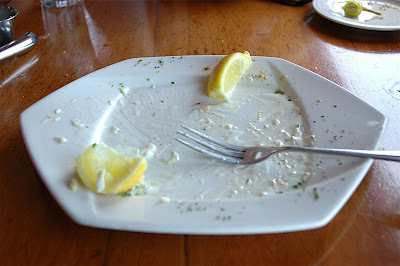 Think maybe the Clean Your Plate Club might play a role in childhood obesity? The study will be published down the road in the journal Archives of Pediatric and Adolescent Medicine. Same as mine. If your kids aren't cleaning their plates perhaps you ought to be offering them smaller portions, or better yet - ensure your child tastes all the foods you offer and then allow them to determine how much they want. Disband the Clean Your Plate Club!! !